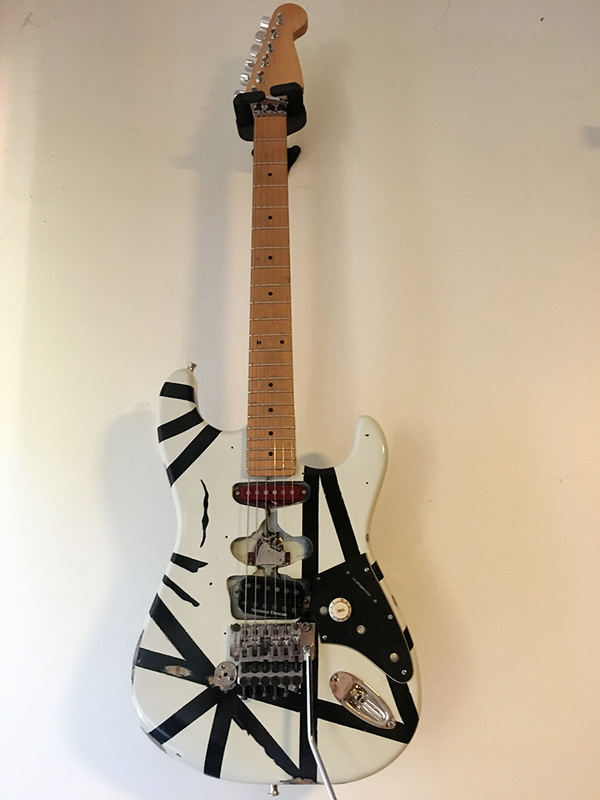 One of a kind, used live for my occasional VH tribute. Pretty exact replica. I’ve played the ones that cost a down payment on a house (incl. one once owned by EVH himself), and to me, this this 1 tops them all (imho). Built by my pal & sometime tech, Frankie, who works in television audio but does this for a hobby!